Eric Tan's super-popular and sold out Indiana Jones print is back and now available as part of Acme Archives' Gem canvas collection! 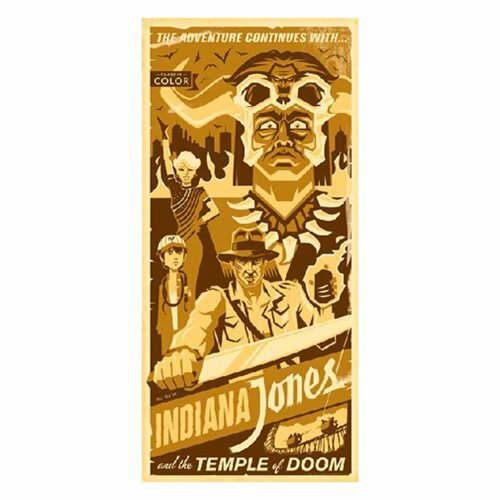 The adventure continues with this Indiana Jones The Adventure Continues With by Eric Tan Gallery Wrapped Canvas Giclee Art Print. Wrapped around a 1 1/2-inch wooden stretcher bar, it's ready to hang on your wall or give as a gift. Inspired by Indiana Jones and the Temple of Doom, the 495-piece edition measures 18-inches tall x 8 2/5-inches wide.